Library Orientation Sessions Having problems in using library databases? Do you need any assistance in your research assignments? You can easily find solutions for your educational fears through our library orientation sessions. Just book the time that suits your schedule and show up on time! Click here. MIU Library offers off-campus access to library online resources for all MIU community. 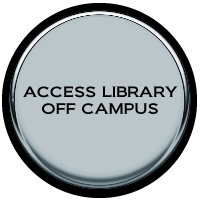 Click “Access Library Off Campus” icon on the right side of the Library Home page. You can login by signing in using your valid username (Example@miuegypt.edu.eg) and password that you use to access your university e-mail account with. Website Feedback “YOUR OPINION IS VERY MUCH APPRECIATED“ Our main purpose is to make the website easier to navigate and easier to use our library’s resources and find the appropriate information you are looking for. Please give us your feedback whether we succeeded and/or what we can do better. Please fill in the on-line survey. Egyptian Knowledge Bank As it is one of our main goals, MIU Library is pleased to give hand in understanding Egyptian Knowledge Bank “EKB” in the university community by providing simple information about it, registration process, and EKB workshops. Scheduled EKB workshops will be announced soon. So if you are interested in attending the workshop, kindly keep your eyes on your email and the Library Portal.